CHESHIRE — A preteen from Cheshire recently took part in a national contest in Florida, bringing home the People’s Choice title. Eleven-year-old Jazahera Moore recently traveled to Orlando Florida to compete for Supermodel of the Year. 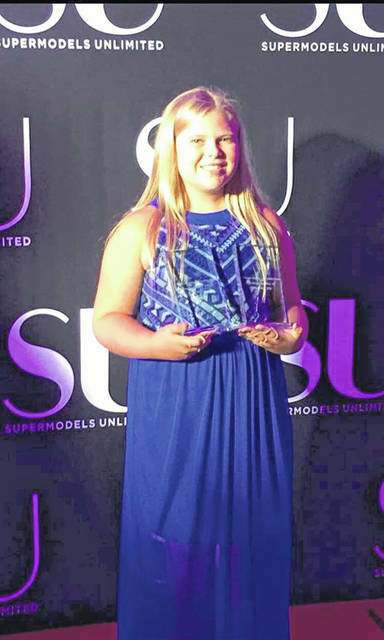 Jazahera won People’s Choice with the help of local businesses and friends of Facebook where she’ll be featured in Supermodels Unlimited Magazine. She also competed for Commercial of the Year and won, which was a huge accomplishment as she wrote the entire commercial herself and delivered in front of a wonderful panel of judges. Jazahera also did her introduction on mentioning of EDS (Ehlers Danlos Syndrome), which is a chronic illness she has been diagnosed with and is continuing to spread awareness to others. With the new year up and coming Jazahera will have the privilege of traveling with Supermodels Unlimited as health allows. Jazahera would like to express her appreciation for the many people who have supported her and help her accomplish being apart of the SU family.